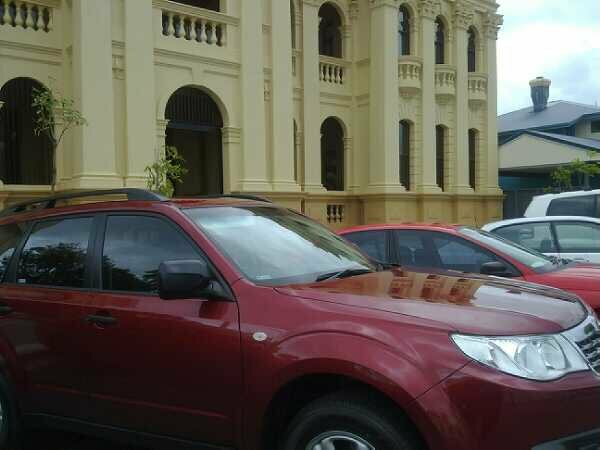 If you see a Subaru Forester parked outside a community museum, chances are you’ll find an MDO somewhere nearby. Our chariots take us to the far-flung reaches of this large state, in all weather, in all temperatures, and over all kinds of terrain (ok maybe not ALL terrain, but definitely over a dirt road or two). They carry our bags, ourselves and our mobile offices. My chariot is constantly charging a phone and an iPod, and never complains when I play the music I like. It also allows me to read a book or two on long journeys – audiobooks of course, as reading the other kind would be dangerous and illegal. Things you’ll always find in my car are a well-used ‘Queensland Country Road Atlas’, first aid kit, hat, water, sunscreen, sunglasses, and a few pairs of shoes (just in case). For most people their office is at the same place every day, but for MDOs it goes from one extreme to the other. In CQ the Rockhampton Regional Council provide me with office accommodation in a beautifully refurbished heritage building. One day I’ll be in this lovely air-conditioned space and the next I’ll be looking at farm machinery in an overgrown paddock. Some of our work environments include reused timber structures, art galleries, libraries, pioneer cottages and of course the ever popular shed. Accommodation for an MDO can vary but one thing is for sure, you can’t be fussy. From flashy self-catering apartments to motel rooms with beer fridges still containing the previous occupants half empty cans of rum and coke (at least I hope it was the previous occupant and not one from 6 months ago), I’ve experienced it all. 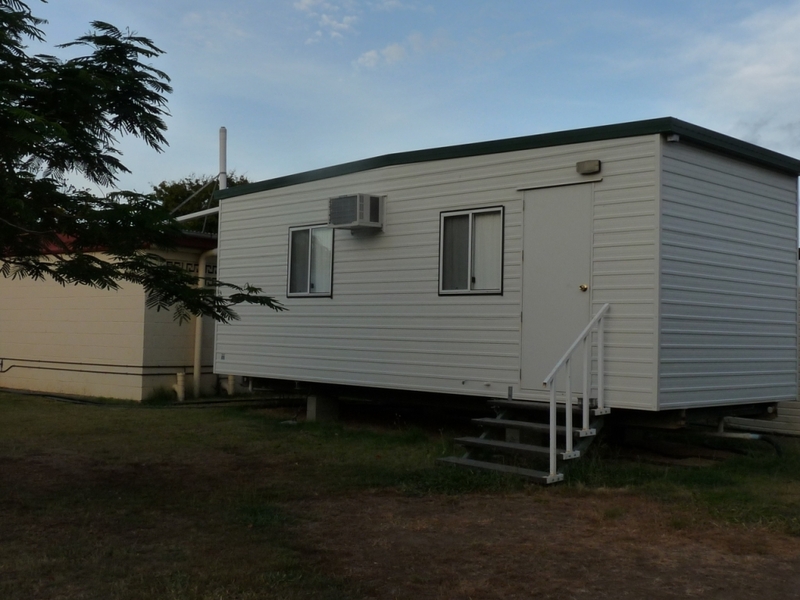 metal box traditionally found at mining camps, but can now be found at many pubs, motels and caravan parks. They have small windows, tiny bathrooms and in all likelihood you will hear the person next door every time they breathe. They are not recommended for more than a night or two. Another common occurrence in mining areas is the reversing of vehicles in the early hours of the morning. You know the kind? The ones that make beeping noises? They are designed to alert you to a reversing vehicle even when you’re tucked up in bed inside you’re insulated metal box. Safety first! Accommodation isn’t all bad though and regular visits allow you to meet some wonderful people. It also gives me a chance to explore a town that I would normally just pass through. Have you had similar work travel experiences? I’d love to hear about them. Posted on 11 April 2012, in Uncategorized. Bookmark the permalink. Leave a comment.